Row 3: L. K. White, A. Cunningham, J. A. Caradus, H. K. Claridge, R. J. Brown, W. J. Anderson, H. R. Sapsford, H. B.
McKenzie, R. P. Smithson, A. Gibson. 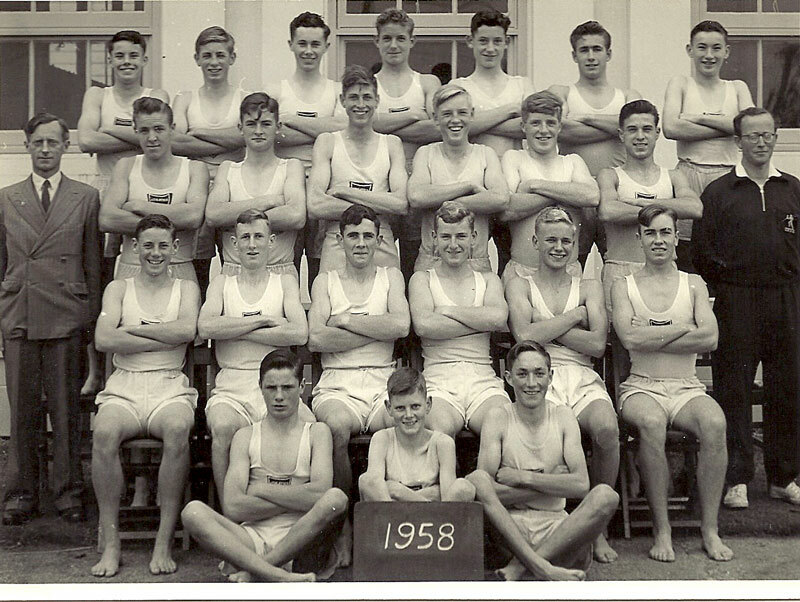 Row 2: R. W. Buchanan, Mr. Crimp, A. Renton, K. H. Tomkins, M. Myles, Mr. Richards, W. Clayton. Row 1: G. C. McKay, A. F. Sutherland, C. G. Anderson. F. Holmes, G. B. McKenzie, C. R. Child, D. N. Wood. 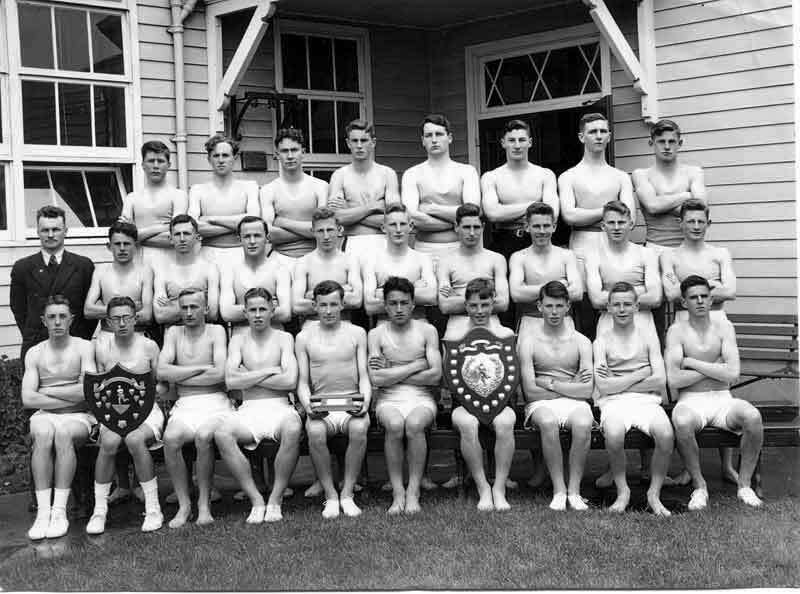 Middle row: J. D. Hair, M. W. Taylor, E. L. Phelan, Mr. Richards, A. J. Scorgie, M. W. Woodrow, W. R. Campbell. 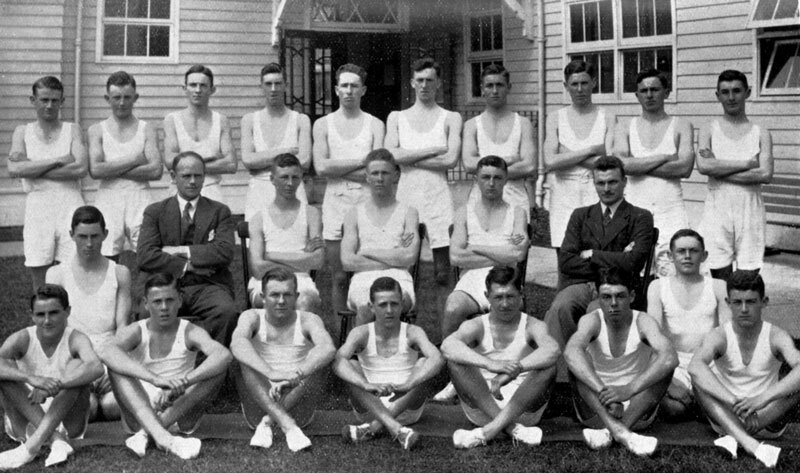 Front row: I. W. Simpson, J. F. McPhail, B. S. Gosney, S. D. Bourke, G. Mackenzie. Row 3: A. D. Long, J. R. Sinclair, R. C. Shaw, D. F Barham, B. S. Hall, J. B. Ross, W. F. M. Bennetto, T. A. Clarkson, C. L. Batcheler. Row 2: Mr. Arnold T. Anderson, J. F. McPhail, G. F. Burns, T. Maguire, P. T. P. Clifford, J. R. Howorth, B. J. B. Glass, F. L. McLoughlan, D. H. Harraway, G. A. C. Lindsay, Mr. W. B. Mayhew. Row 1: A. C. Birchall, A. N. McGregor, D. B. Stewart, A. G. Hislop, C. R. Webster, P. W. Crawford. Row 3: A. D. Long, P. M. Darracott, J. E. Ross, N. Jones, T. A. Clarkson, R. S. Smith, G. A. C. Lindsay. Row 2: Mr. Arnold Anderson, P. W. Crawford, A. C. Birchall, J. N. Darling, A. J. Wishart, A. G. Hislop, G. F. Burns, T. A. Maguire, R. G. Hunter, Mr. Mayhew. Row 3: A. D. Long, P. W. Crawford, N. Jones, T. Clarkson, G. E. Burns. Row 2: Mr. Mayhew, G. B. Gosney, P. T. P. Clifford, A. Hair, A. J. Wishart, G. A. C. Lindsay, R. J. B. Glass, J. B. Holmes, G. R. Bassett, A. N. MacGregor, Mr. Anderson. Row 1: G W. Stewart, G. T. Wood, I. G. Bassett, 0. E. McMillan, N. A. McKenzie, R. G. Middlemass. G. S. Howley. 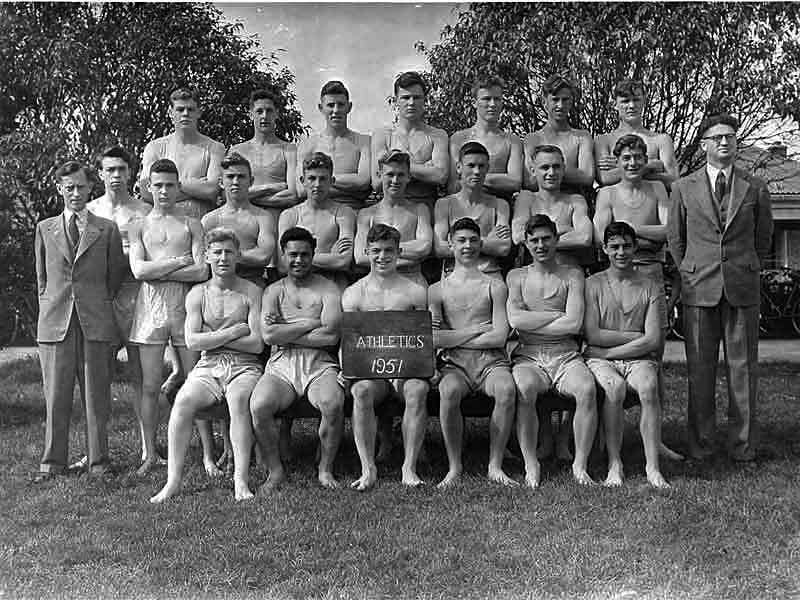 Row 3: Mr. Anderson, D. V. Shaw, G. T. Wood, R. G. Middlemass, C. R. Deiley, R. C.. Hendry, J. D. Holmes, L. D. Reid, E. J. W. Squires. Row 2: J. E. Davidson, G. W. Stewart, A. N. Macgregor, I. G. Bassett, G. B. Gosney. Row 1: K. R. Payton, R. I. Toms, F. N. Clarkson, R. F. Montgomery. 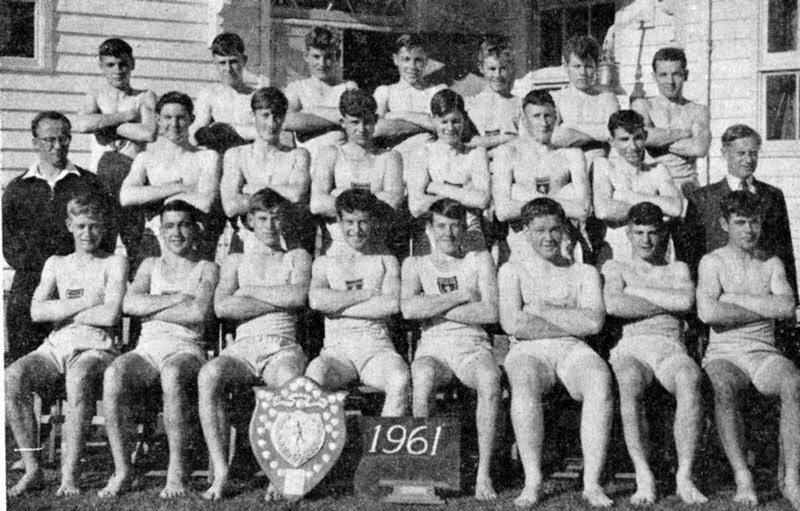 Row 1: I. G. Bassett, D. R. Caradus, G B. Avery, H. M. McMilIan, R. G. Middlemass, M. L Brown, C. R. Deily, P. B. Holmes, L. D. Reid, G. B Gosney, J. J. Somerville. Row 2: Mr. Anderson, S. R. Whyte, B. R. Davidson, F. N. Bourke, G. T. Wood L. E. Pearce, E. J. W. Squires, G. W. Stewart, G. R. Bassett, Mr. Mayhew. Row 1: B. J. Burn, F N. Clarkson, B. J. Chivers, Parker, G. A. Geary, P. C. Burridge, F. T. Gray, R. F. Montgomery, D. I. Caldwell. Row 3: F. N. Clarkson, I. G. Bassett, G. G. Woods, L. D. Reid, R. G. Middlemass, C. B. Gosney, E. J. W. Squires, F. R. Lambeth, G. R. Bassett. Row 2: Mr. Anderson, B. F. Montgomery, P. C. Burridge, D. I. Caldwell, L. E. Pearce, 0. G. Bishop, F. T. Gray, B. J. Burn, B. J. Chivers, Mr. Mathias. Row 1: C. A. Geary, G. N. Lucas, I. B. Simpson, K. F. Duncan, M. R. Scott, C. R. lVIitcheIl, R. M. Telfer, N. A. Reddington, R. S. King. 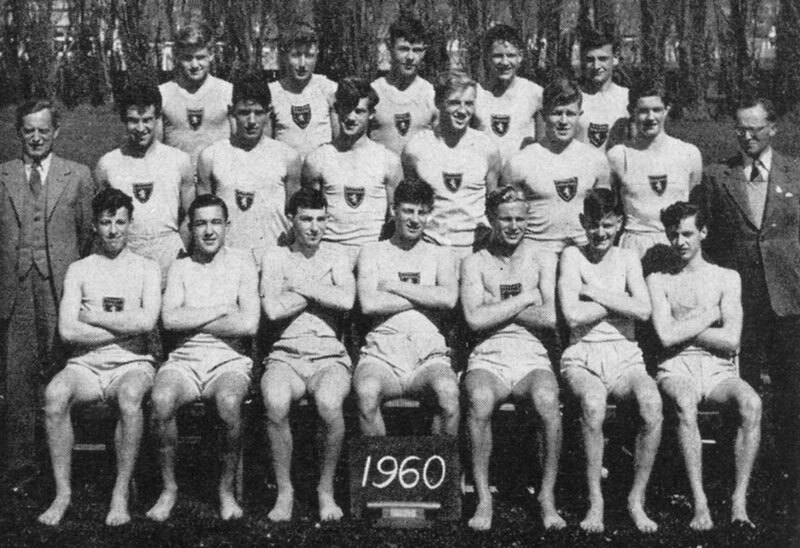 Row 2: Mr. Anderson, D. R. Simpson, R. Ratcliffe, D. Christian, I. Bassett, B. Torrance, B. Olssen, F. T. Gray, R. S. King, L. Pearce, G. Mitchell, L.J. Hocking, Mr. Mathias. Row1: W. W. Smith, M. Stanton, S. Inglis, N. Reddington, G. Tregonning, N. Paterson. Row 4: R. K. Grant, K. Paterson, R. J. Begg, W. J. Stewart, G. Leaden, P. Laughton, A. G. Smith. Row 3: Mr. Arnold T. Anderson, B. F. Keys, W. Little, A. Howard, B. Olssen, D. Strang, R. G. Inglis, Mr. D. T. G.. Mathias. Row 2: P. Montgomery, P. Dey, W. J. Renton, N. Reddington, R. F. Lampen, G. D. Tregonning. Row 1: P. Turnbull, W. Speirs, I. Farrant. 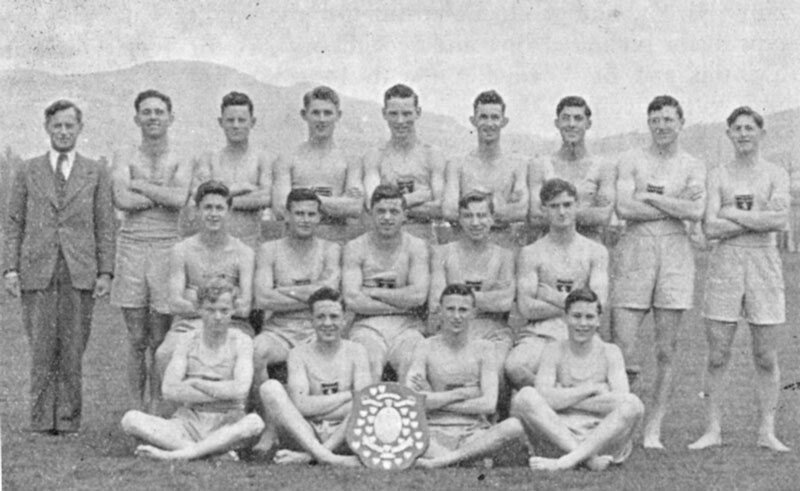 Row 3: B. Deuchrass, I. F. Farrant, W. J. C. Begg, R. N. Fraser, W. Speirs, R. Bryant. Row 2: G. T. Hedges, W. J. H. Stewart, D. D. Strang, W. G. Little, B. B. Ball, P. A. Dey, B. J. Hislop. 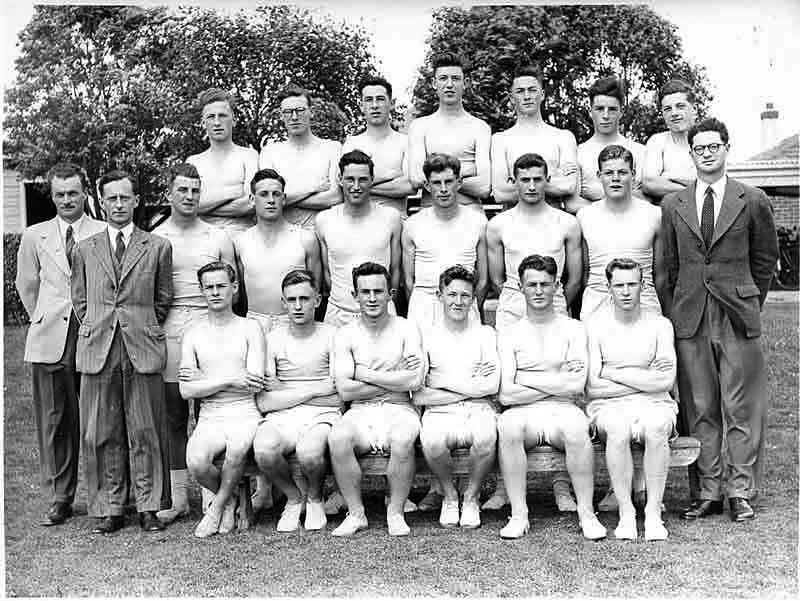 Row 1: G. D. Tregonning, R. F. Lampen, P. J. Montgomery, R. J. Elmes, W. F. Wilson, S. C. Inglis, B. W. Moor, Mr. A. T. Anderson. Row 3: L. M. Ponsford, H. J. Anderson, L M. Turfus, M. G. Harris, R. L. Bryant. Row 2: Mr. Anderson, A. R. Hislop, D. B. Burns, J. C. Robilliard, E. N. Olssen, A. W. Dale, W. P. Gough, Mr. Mathias. Row 1: D. G. Breese, R. J. A. Tregonning, M. B. Hyndman, P. J. Montgomery, R. F. Lampen, W. R. Speirs, G. R. Bruce. 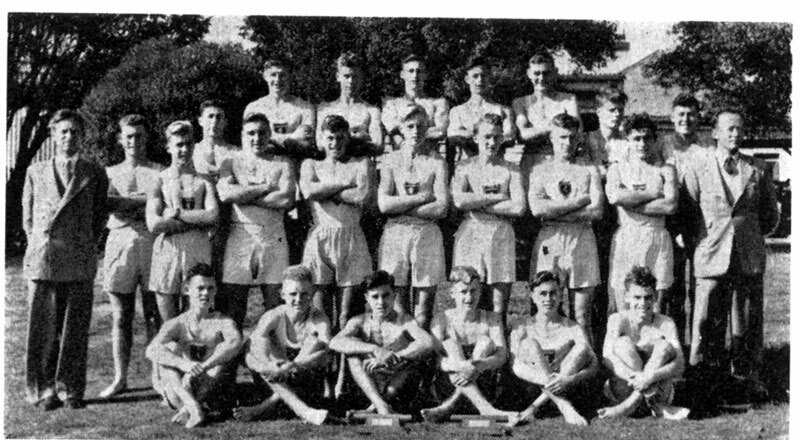 Row 3: R. L. Bryant, K. R. Burke, M. C. Edgeler, A. I. Starkey, J. R. Muir, D. C. Paul, R. S. Mains. Row 2: Mr. D. T. G. Mathias, W. P. Gough, N. A. Faser, J. C. Robilliarcl, W. R. Speirs, B. W. Day, M. B. Hyndman, Mr. A. T. Anderson. Row 1: J. 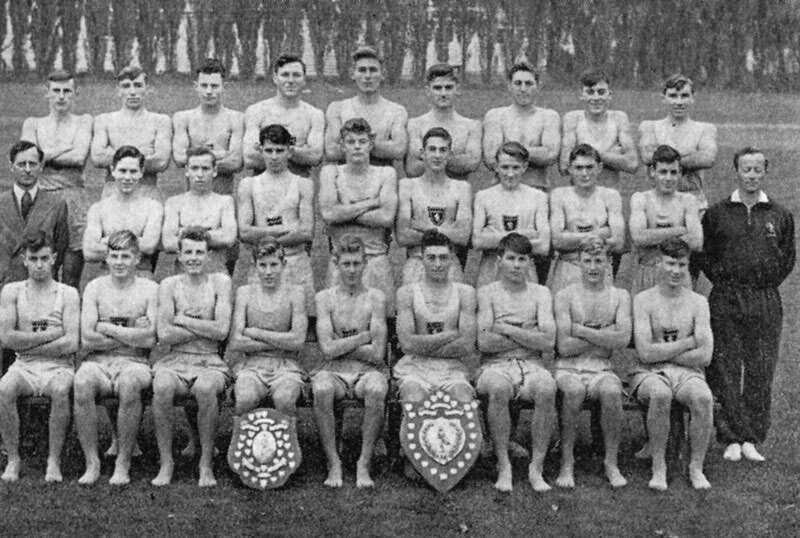 B. Irvine, R. J. Tregonning, J. G. Irvine, A. R. Hislop, I. W. Maskell, P. S. Williams, I. M. Turfus. Row 4: B. Hedge, J. Isaac, S. Stevenson, W. McKay, A. Passmore, R. Bryant, B. Hainea. Row 3: S. Muir, S. Gubbins, W. Gamble, H. Anderaon, G. Asher, S. Wilson. 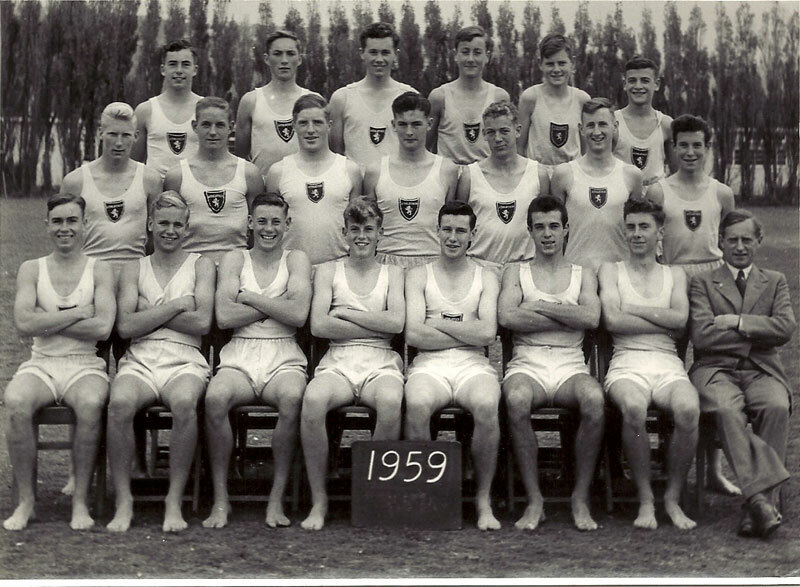 Row 2: A. Starkey, I. Reddington, S. Robilliard, W. Wright, D. Watson, W. Gough, M. Edgeler. 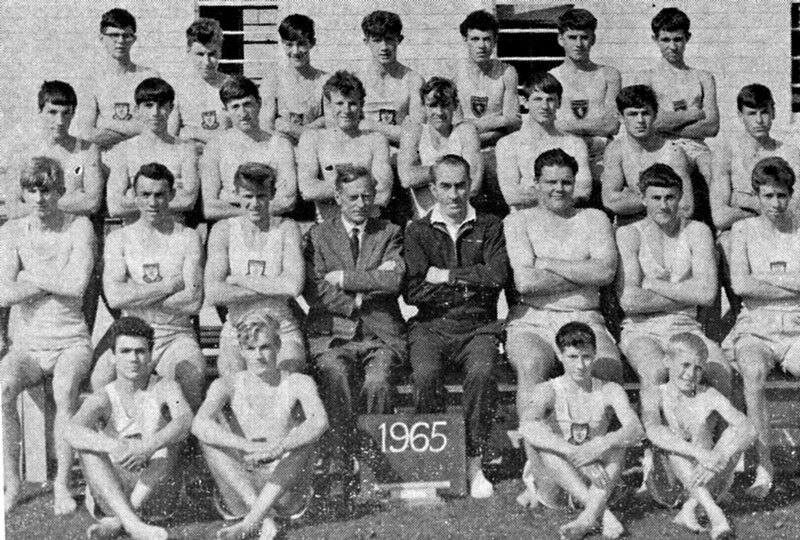 Row 1: Mr A. Anderson, K. Burke, I. Maskell, R. Tregonning, A. Hislop, I. Turfus, Mr T. Mathias. Row 4: B. Simpson, B. Hedge, B. Markham, J. Stevenson, K. Bryant, S. McKenzie, H. P. Johnston, R. S. Melville. 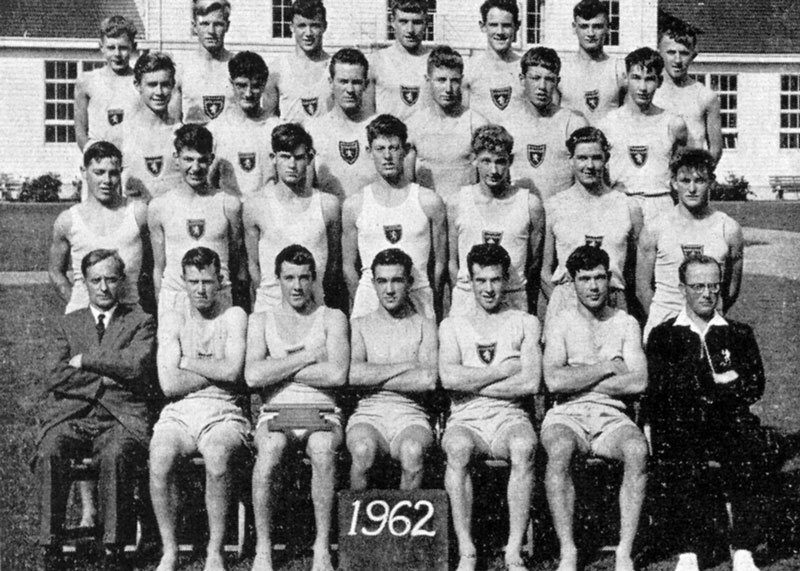 Row 3: Mr D. T. G. Mathias, I. Turfus, S. Cameron, J. Irvine, D. Watson, A. Fort, W. Gough, H. Anderson, Mr A. T. Anderson. Row 2: S. Luke, K. Walker, J. Muir, D. Breese, L. Adam, B. Anderson, W. Dixon, R. Jones, P. Smith. Row 1: P. Robertson, B. Laybourn, B. ‘Haines, D. Melville, K. Isaac, J. Innes. Row 4: J. Innes, J. Williams, R. Wilkinson, D. Mitchell. 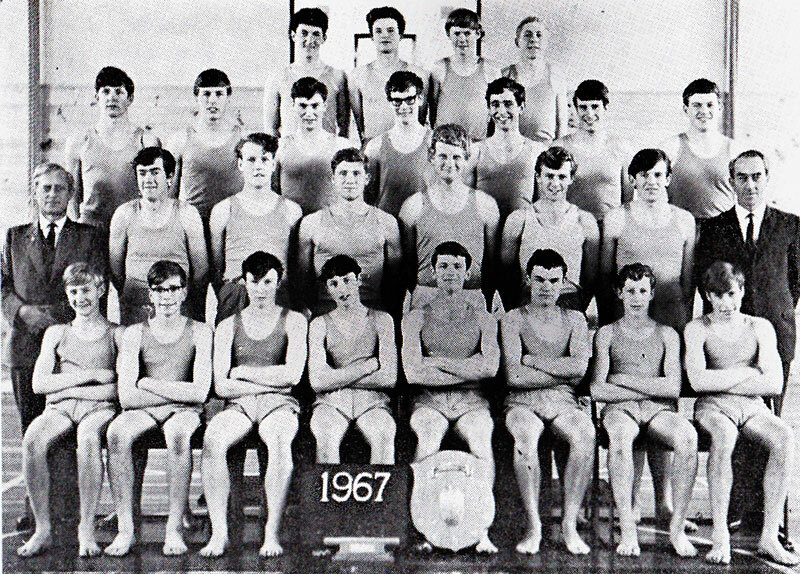 Row 3: B. Haines, B. Laybourne, K. Isaac, D. Melville, S. Melville, J. Stevenson, R. Duncan, B. Holmes. Row 2: K. Churchill, B. Hedge, J. Muir, L. Mains, W. Dixon, K. Dey, G. Robertson, M. Cooper, R. Bracefield. 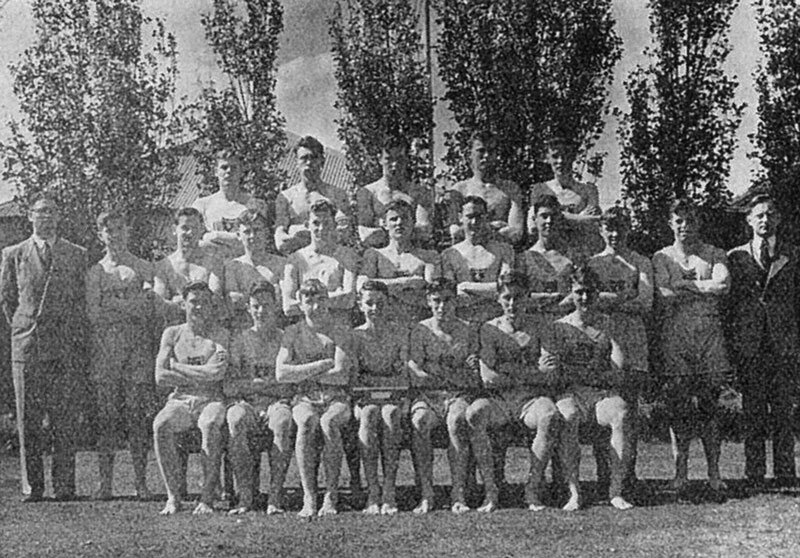 Row 1: Mr. A. Anderson, P. Smith, G. Knox, G. Maskell, I. Reddington, A Fort, G. Cooper, W. Mackay, S. Cameron, Mr. H. Salter. Row 4: J. Gray, R, Glue, M. M. Muir, G. Young, R. Holmes, D. Mitchell, P. Cowan. Row 3: R. Markham, R. McCay, G. Muir, P. Sharapoff, D. Corbett, S. Melville, B. Laybourn, K. Isaac. 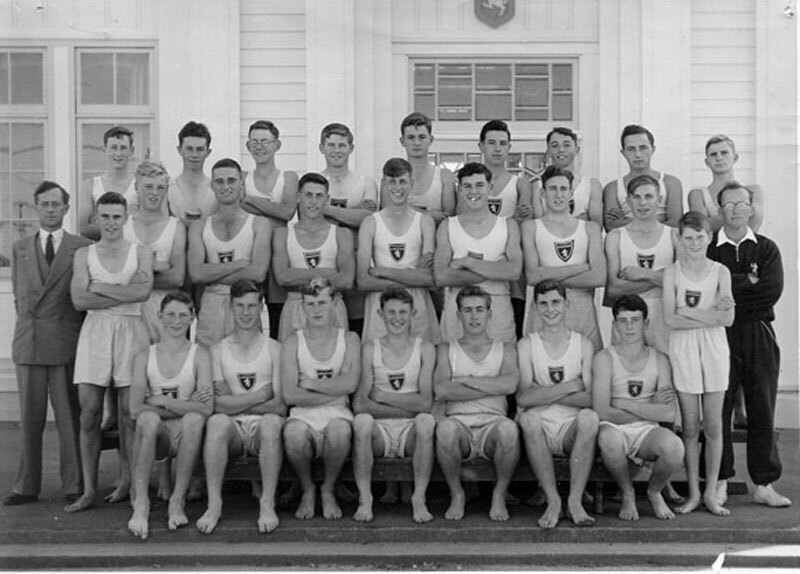 Row 2: B. Scott, G. French, G. Knox, Mr. Anderson, Mr. Salter, B. Austin, G. Robertson, B. Cowan. Row 1: P. George, M. Bennett, B. Simpson, G. Notman. Back row: G. Russell, M. Amies, M. W. Muir, R. Notman. 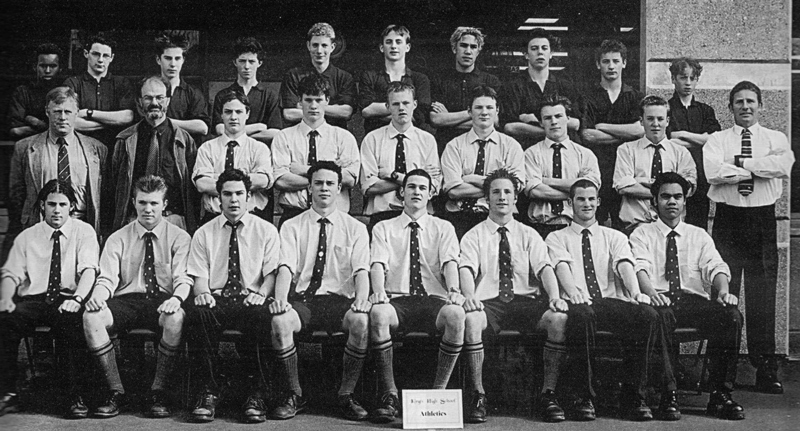 Second Row: G. Newton, K. Isaac, K. Churchill, N. Buddicom, P. Cowan, R. Duncan, A. Cameron. 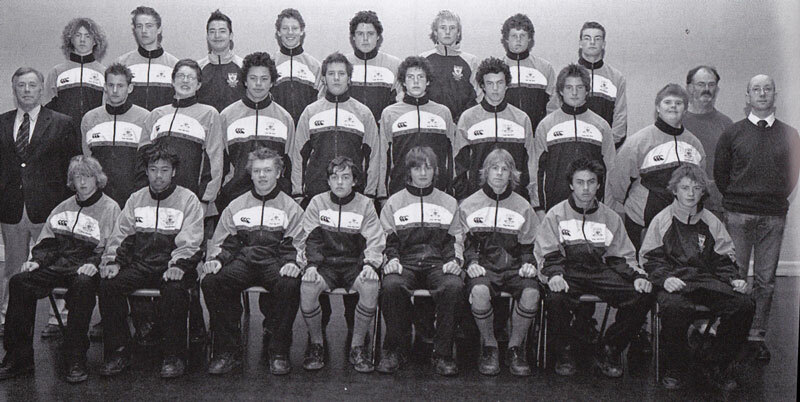 Third row: Mr A. Anderson, M. M. Muir, P. Gillan, M. Henson, P. Hazledine, G. Knox, B. Young, Mr H. Salter. 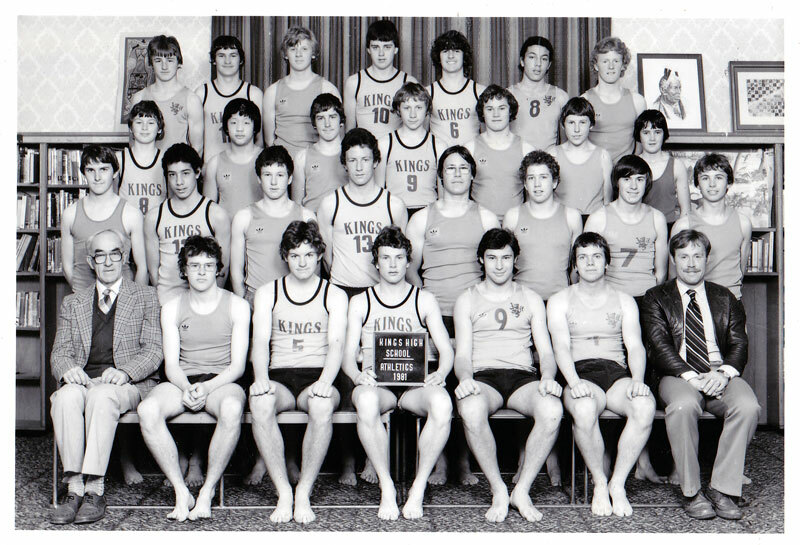 Front row: K. Martin, R. Johnston, L. McAlevey, W. Cope, S. Melville, J. Brownlie, G. McLeod, N. Glue. Back row: McGregor, B. I.; Cope, W. A.; Ingram, J. C.; Dickson, G. T.; Martin, C. M. Third row: McAfe·vey, L. G.; Brocklebank, S. J.; Pridham, M. W.; Brownlie, J. B.; Poultney, I. D.; Ayers, R.; Webb, G.; Homer, C. J. 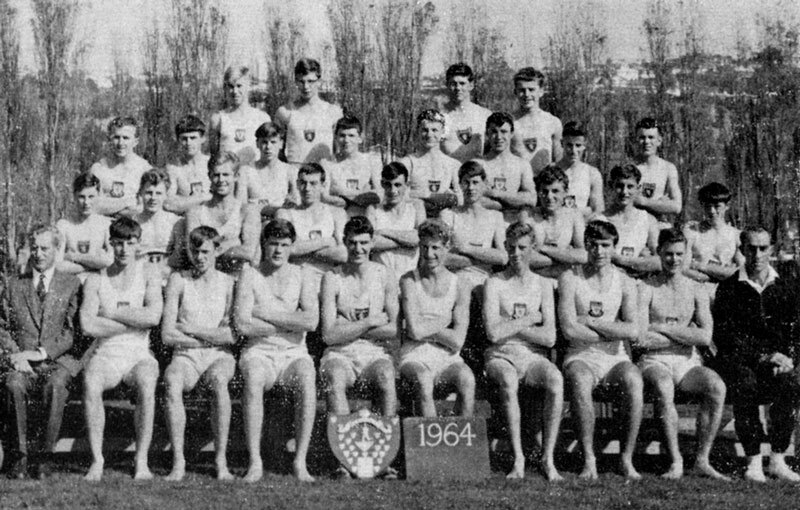 Second row: Glue, N.; Russell, G. T.; Laracy, K. J.; Buddicom, N.; Dawson, R. J.; Lees, W. K.; McDonald, K. I.; Muir, M. W.; Amies, M. J. 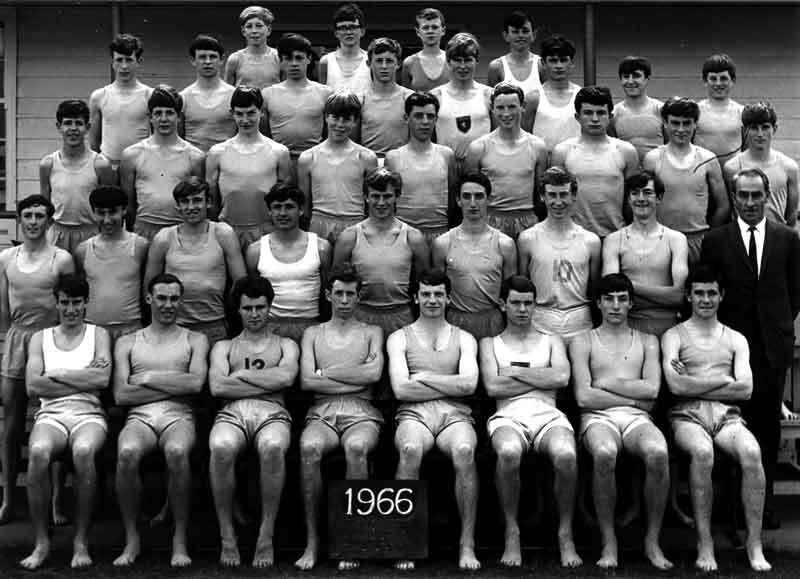 Front row: Hazledine, C. P.; Mitchell, D. E.; Hickey, N. A.; Cowan, P. R.; Salter, Mr H.; Notman, G. R.; Barbara, R. W.; Muir, M. M.; Ferguson, D.
Back row: G. D. Cochrane, C. J. Homer, B. R. Oats, R. D. Wallace, P. J. Gillan, K. J. Bills, I. D. Poultney, M. W. Pridham, R. R. Ayers. Middle row: W. P. Leiper, A. W. Todd, G. D. Allen, B. J. Hannah, S. G. Phillips, D. J. Chambers, P. J. Sutcliffe, G. T. Dickson, C. T. Thomson, B. Hughes. Front row: J. C. Ingram, S. J. Brocklebank, M. M. Muir, G. R. Notman, Mr H. R. Salter, W. A. Cope, M. W. Muir, N. Glue, M. D. Lewis. Sitting in front: G. C. Wong, P. T. Jones, J. A. Murray. Row 3: G. Dickson, D. Searle, S. Brocklebank, P. Russell, R. Howie, C. Homer, N. Glue, S. Hawkins. Row 2: Mr H. Salter, M. Muir, D. Stinson, C. Thomson, W. Cope, E. Andrews, S. Alexander, P. Gillan, Mr J. Dunbar. Row 1: W. Leiper, R. M. Dowland, I. Arthur, N. Walton, N. Campbell, K. S. Dowland, G. Anderson. Row 4: Paul Munro, Daryl James, Murray Turner, Paul Cromarty , Tony Ashley, Willie Tarapi , Darren Mitchell. Row 3: Simon Smither, Kevin Yee, Darren Humphries , Nigel Harkness, Kerry Neame., Roger James, Mark Howie. Row 2: Grant Howie, Terry Tarapi , Chris Stephens, Alistair Scrymgeour, Ricky Mogensen, Craig McIlroy, Graham Helm, Martin Montgomery. 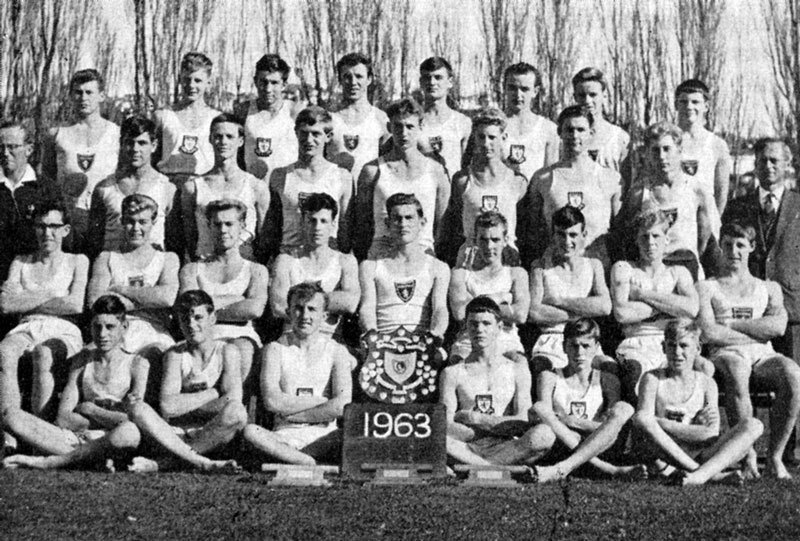 Row 1: Mr H. R. Salter, Peter Wright, Chris George, Mark Metzger, Michael Rodgers, Greg Alexander, Mr J.R. Muir. King’s took out the top four places in the high jump, which just illustrated the depth of talent in the team. Sam Gouverneur did not disappoint breaking the record in the U16 400m in a time of 51.34m. He also took out podium finishes in the U16 800m, 4 x 100m and 4 x 400m relays. Alex Brown broke the Otago record in the 3km walk. Flynn Murdoch made an impressive debut for King’s High School breaking Josiah Lesa’s record in the 80m hurdles in a time of 12.20 sec. 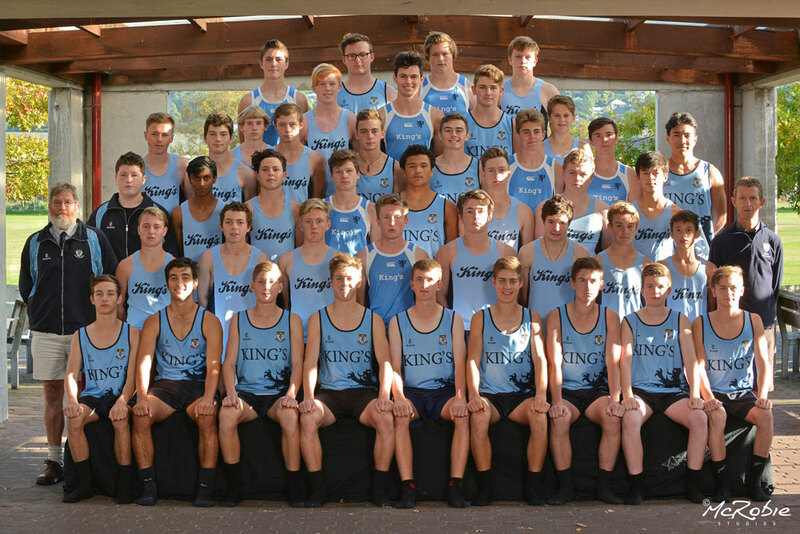 King’s again demonstrated their strength in Athletics when they took out four of the five relay events. We were not disappointed with Flynn Murdoch coming away with a record of 11.89 sec in the 80m hurdles and the U14 relay team of Gregor Clarkson, Duncan Trevithick, George Bates and Flynn Murdoch breaking the record previously held by the King’s High School team of Jack Addis, Sam Gouverneur, Max Aitchison and Josiah Lesa in the U14 4 x 100m relay. Jamie Crosland had an impressive performance in the field events, placing 1st in the U16 Shotput and Discuss and 3rd in the Javelin. Ben Pringle was another standout athlete dominating the jump events with a 1st place in the High Jump, and a 3rd place in the long jump. 4x 100 m Relay Team: Gregor Clarkson, Keanu Vanisi, Flynn Murdoch, Duncan Trevithick 1st, New SISS Record. U16 Discuss Jamie Crosland 2nd. 4 X 400m Relay Team:Jacob Granger, Felix McDonald, Ben Kiore, Sam Gouverneur 1st. 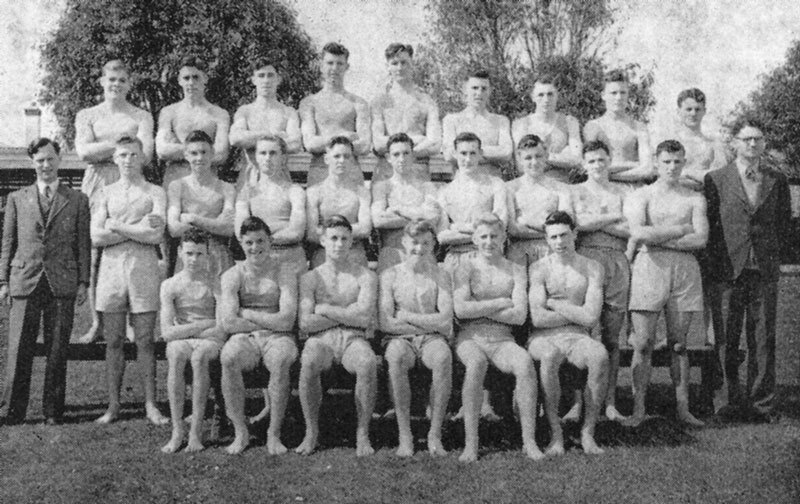 ROW 1: Patrick Ward, Sam Cosgrove, William McCutcheon, Flynn Murdoch,Oli Phillips, Jackson Clearwater, Spencer Gable, George Procter, Harry Mason, Ollie Young. 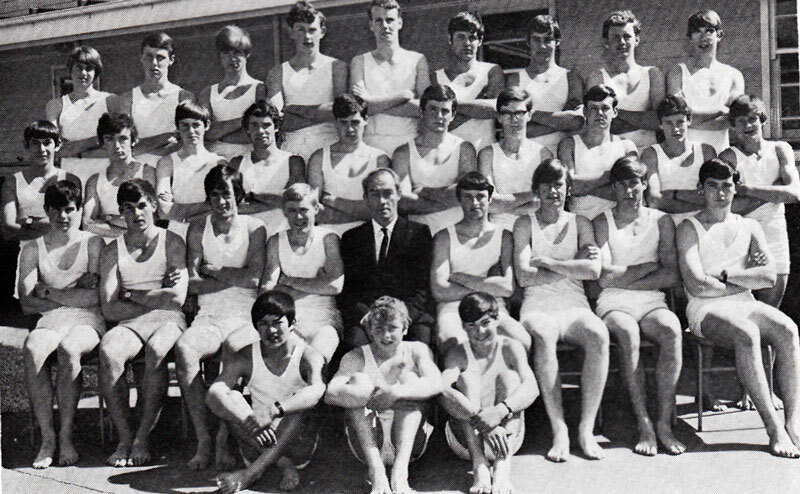 ROW 2: Mr Geoff Anderson (Manager), William Scharpf, Taine Hand, Bradley McPate, Ben Paku, Jay Davis, Isaac Dolan, George Bates, Mrs Calverley (Manager). ROW 3: Joshua Toomin, Ben Addison, Nathan Hastie, Toby Evans, Drew Cairney, Matthew Wong, Jack Addis, Gregor Clarkson, Damian Samson, Finn Ward. ROW 4: Jordan Frost, Daniel Dickie, Max Aitcheson, Steve Salelea, Joel Bolton, Ta’u Latu, Tainui Little, Keanu Vanisi, Flynn Haig. ROW 5: Mr Koedyk (Manager), Xavier Wright, Sepasetiane Vaka, Sam O’Kane, Kaiya Hanley, Bailey Carey, Sam Gouverneur, Liam Condliffe, Zach Mason, Mahonri Auva’a. ROW 6: Alex Brown, Ben Pringle, Noah Wray, Duncan Trevithick, Sam Boyes, Louis McKay, Jamie Ward-Smith, Wilhelm Kunze, Jamie Crosland. 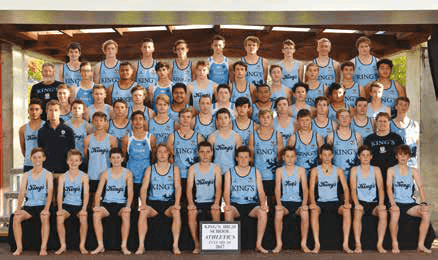 We had 34 athletes in Invercargill for the weekend, 26 of whom qualified for the South Islands. The weather was not the best but the athletes all competed extremely well under the conditions.